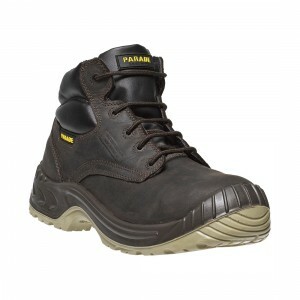 Steel Toe Cap Safety boots are an essential part of many workers every day work kit. The choice that is available today is vast and sometimes can be confusing. 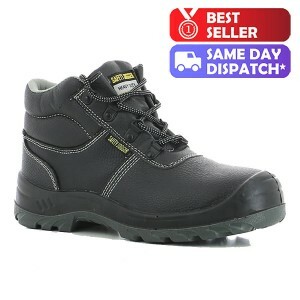 Our web store has one of the best collections of Mens Safety Boots available on the market today. Our easy to use store has many features including a compare option which will help you choose the right work boots for you. Our range includes many leading brands and style exclusives which are Comfortable and Lightweight, these exclusive styles are only available from us and you will not find them anywhere else in the UK. Those of us that have been in work long enough remember when your work boots were an essential part of your working life, but every day you loathed the moment you put them on and could not wait to take them off at the end of your working day. Available in one colour only, black, although functional these old design boots were heavy and extremely uncomfortable hence the reason you could not wait to kick them off at the end of the day. How times have changed. Continued development in material components and modern production techniques have now delivered safety footwear that not only looks good but also meets the modern safety requirements and delivers all day long comfort. It is worth noting at this point you only get what you pay for, you cannot buy a Ferrari for Mondeo money. So with this in mind it is fair to say you should get greater comfort from a pair that costs £70 than a pair that costs £30. No longer are you restricted by colour or style, the choices that are available seem endless. 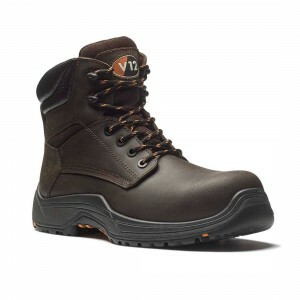 Various options are now available from the more traditional six inch high work boots to the more modern safety hiker boots with Vibram sole units. The more premium brands and models have some stunning features which include fully waterproof Sympatex membranes and some styles have side zips so you can put them on and remove them easily. These modern features offer the wearer great safety protection but also increase the wearers comfort levels, so you can now purchase safety boots which really do deliver all day long comfort. The continued investment into research and development of new components and materials means that the future styles, which will become available will incorporate new materials which will enhance the wearers comfort and safety even further. Manufacturers are already developing new types of non metal toe caps which deliver increased protection but enhance the wearers comfort. In recent years we have seen the introduction of Kevlar protective midsoles which are replacing the old fashioned stiff and un flexible traditional steel midsoles. More recently we have seen the rise of new compounds such as Poron XRD which has been incorporated into the latest generation of metatarsal safety boots. This drive to produce more comfortable and functional footwear for professionals at work benefits the wearer at all levels, the next generation of styles and designs which will be produced will encompass the latest technologies and deliver increased wearer comfort. So why are they so many different designs and styles of boots available? Well one type of boot does not fit all and because there is such a wide variety of occupations which now requires safety footwear, the specifications required for one type profession may not be suitable for another. The first obvious difference you can see is the height of all the boots vary. You can choose from a mid cut boot, which is about the height of your ankle right the way through to boots that are up to 10 inches high. So why the difference? 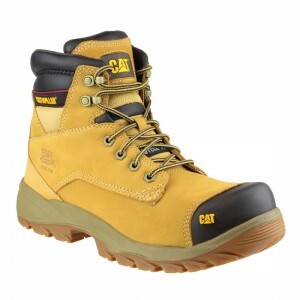 Well the most obvious profession that uses Lace up 10 inch Safety Boots are those professionals that work in the logging industry, the terrains worked on, in this industry are extremely varied and therefore the risk of an ankle injury from twisting is very much increased. A properly fastened and secured 8 or 10 inch high boot provides extremely good ankle support and helps reduce the possibility of the wearer twisting the ankle area. One of our most popular waterproof high leg side zipped safety boots is the Helly Hansen Chelsea Safety Boots with its Vibram sole unit and waterproof membrane this boot from Helly is designed to perform in extreme conditions. Whilst browsing your prospective choices you will notice that some styles indicate that they are water resistant, whilst other styles indicate that they are waterproof. If you are working in environments where you are outdoors a lot and run the risk of working in all weathers make sure you choose a pair that is waterproof. 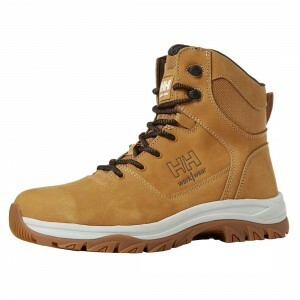 A pair of safety boots that are water resistant will only keep your feet dry for a limited time. 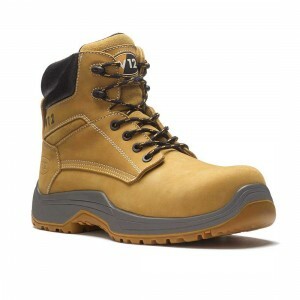 A good quality waterproof pair of work boots will help keep your feet warm and dry. It must be stated at this stage that if you are working for prolonged periods in extremely wet conditions you should seriously consider purchasing a pair of safety wellingtons. Every design and style that we offer for purchase on our web store has been tested and conforms to the latest European safety standards. These safety standards have different levels and thus offer different levels of protection. For example safety footwear that has been tested to SB standard only has a protective toe cap, whilst boots tested to S1P standard have a protective toe cap, protective midsole, antistatic sole unit and shock absorbing heel. When choosing your preferred brand and style ensure that you have selected the right safety standards for your occupation. To make these selections easier for you we have clear symbols that designate the standards and safety features each particular style has. If you are unsure which style or safety features you may require please do not hesitate to contact us, our customer service team will be happy to answer any questions you may have. With so many styles to choose from you may be wondering where how you can get the most out of your new purchase. Below are a number of hints and tips you can use when you have selected your next pair, some of these suggestions may seem obvious but by adopting these hints and tips you should get the best value and prolonged life from your new footwear. We understand that everyone has a budget to work too. But where possible try and purchase two pairs and alternate the wearing of them. If your footwear has become wet through perspiration or by them wearing outside they need time to naturally dry out. Force drying footwear near a heat source will dramatically reduce the life span of your footwear and invalidate manufacturers quality guarantees. Keep your boots clean and free from dirt. By keeping your boots clean will help prolong the life of your footwear so you get the best value and longevity from your new purchase. If you are using cleaners or polishes test on a small area of the boots first. Regularly check the condition of your laces and make sure your footwear is securely tied to your feet. Trips can occur when wearers do not fasten their boots correctly, securely fastening your footwear will result in better support, especially if you have chosen a pair that is over 6 inches high. Wear good quality socks. By wearing good quality work socks you will promote good foot health and reduce the possibility of an accumulation of perspiration within the boots. By wearing good quality socks helps reduce foot odour and in addition can help reduce the build up of sweat within the boots thus creating a better environment for your feet to be in. We pride ourselves on distributing an innovative and comprehensive collection of steel toe cap safety boots which are comfortable and lightweight. 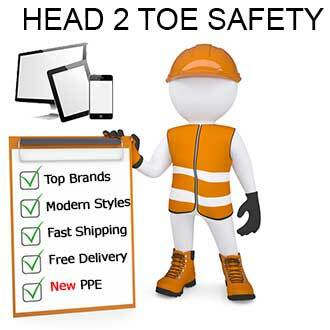 Our products and pricing model coupled together with our commitment to providing our customers with sound customer service and technical advice means that we offer one of the best value online solutions for purchasing safety footwear. If you have any questions or queries with any of the products and services we offer please contact us by email or telephone one of our customer service representatives who will be happy to help you with your requirements. Make the change to Charnwood Footwear and Clothing and discover great prices and customer service as it should be.